Welcome to the GM4KGK pages. Updated July 2017. Click on any image below to activate an area of interest. 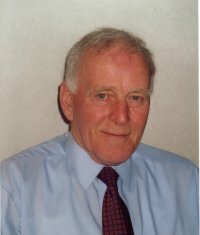 My name is Norman Munro (usually known as Norrie) and I was born in 1942 in Stornoway on the Island of Lewis. I was educated (?) at Sandwick Primary and the Nicolson Institute - after leaving school I joined the UK Meteorological Office and was employed by them for 42 years. More than 30 years of my working life was spent in England, initially as a Radar Engineer and latterly as Operations Manager in charge of their Engineering Services department. 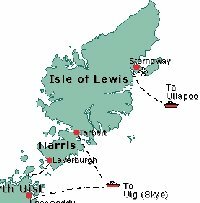 My wife and I came back to Lewis when I retired in 2002 and now live in the village of Lower Bayble about 5 miles East of Stornoway. Email me: norman@gm4kgk(dot)co(dot)uk Replace (dot) with a full stop. Amateur Radio has been a life-time hobby and holds as much fascination today as it did when I became interested more than 60 years ago. I have been licensed since 1979 and my main interests are CW (Morse Code) and Data modes. A click on the Drake receiver to the left will take you to some pages related to the hobby. The Island of Lewis is the largest island in the British Isles. The population is about 20,000 and the main town of Stornoway has about 8,000 inhabitants. Accessibility is good with frequent connections to the mainland by sea and air. Living here has advantages (peaceful, lack of crime, lovely coastal scenery) and a few disadvantages (climate, transport costs), but on balance it's a very good place to live. When I retired I never gave any thought to spending the rest of my days anywhere else.